We're not quite into the silly season of game launches just yet - look forward to the end of September for that - but some studios are discretely pushing out Beta and Early Access launches to garner interest and avoid the PR deluge of an October release. Naturally this sometimes requires driver updates from GPU manufacturers to ensure that there are as few issues as possible for those testing out the game, and it just so happens that this is the case today with a new Radeon driver from AMD. Radeon Software Adrenalin Edition 18.8.2 Beta is the second driver release this month from AMD, and has been prompted by the upcoming launch of Strange Brigade on Early Access by Rebellion Studios. 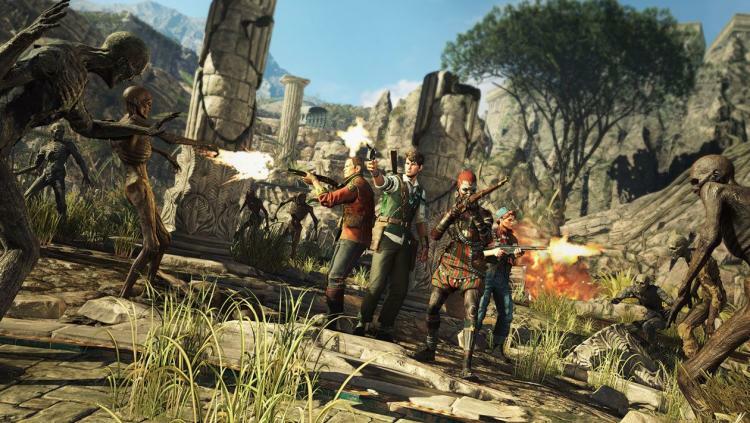 Strange Brigade is also part of AMD's Raise The Game promotion, and so optimal performance at launch is highly, highly desirable. - Minor corruption may be observed when launching Strange Brigade™ with Vulkan™ enabled on Windows®7 system configurations. - An application hang may occur in Strange Brigade™ on multi GPU enabled systems with both V-Sync enabled in game and Radeon FreeSync enabled on Windows®7 operating system. - Radeon Overlay may not show up when toggled in multi GPU system configurations in Strange Brigade™ with Vulkan™ enabled.